Did you know that the coconut oil that we mostly use for champi has tons of beauty benefits? Yes, coconut oil is loaded with nutrients, fatty acids, vitamins that beautify the skin in the best possible way. So apart from using it as a hair oil, you can use coconut oil to reduce dark circles, to bid goodbye to signs of aging and even to remove your makeup. So ditch the expensive creams and go grab a jar of coconut oil and make your skin beautiful and gorgeous in no time. 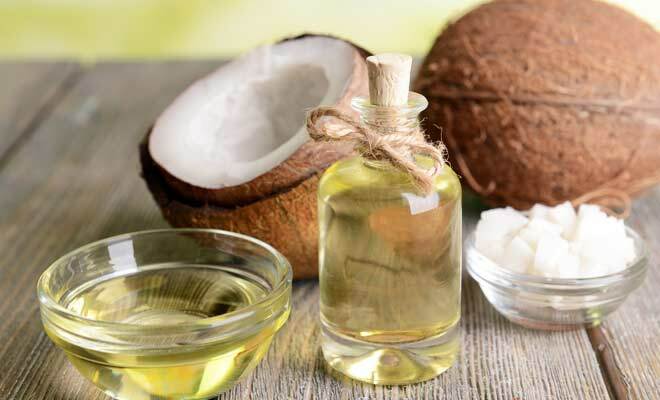 Read further and find out our top benefits of coconut oil for skin, face & hair! Coconut oil is a perfect oil during the winters when the skin can go super dry and craves for hydrating creams. So instead of creams or body lotion, you can use coconut oil as a body oil, which is enriched with Vitamin E, fatty acids that boost the natural oils of the skin and keeps your skin hydrated for long hours. Use coconut oil on slightly damp skin to lock in moisture for the whole day. If you are running out of your shaving cream then do use coconut oil as a shaving lotion, it will smoothen the hair follicles for a clean shave as well as it will protect your skin from razor burn. 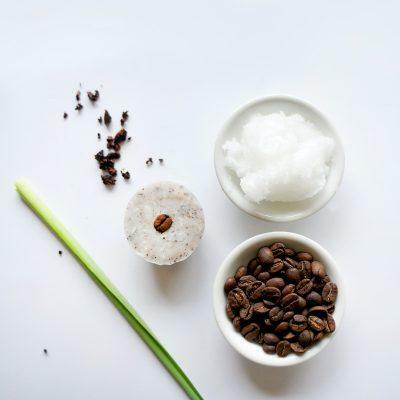 Coconut oil makes one of the perfect alternative to shaving creams plus it’s all natural. Coconut oil is rich in fatty acids that will transport nutrients to the cells and that is why we recommend massaging coconut oil into the cuticles that will strengthen and protect your nails from turning brittle and dry. You can also dip your nails in a bowl of warm coconut oil for about 5 minutes to reap all the benefits of coconut oil. Massage coconut oil on your cuticles daily before going to bed and see your nails turning shinier, whiter and healthy over time! One of the easiest ways to remove stretch marks from your skin is to smear your skin with coconut oil. It has antioxidants that will replenish your skin, soothe and heal your skin from the stretch marks. Coconut oil also helps in treating itchy, dry skin so if your skin feels itchy and dry, use this magical oil and turn your skin into baby smooth skin. If you are a DIY lover, then you would love using coconut oil as a body scrub. It not only hydrates the skin but even removes dead skin cells and promotes healthy and plump skin. So make a body scrub mixture of coconut oil, crushed coffee beans, sugar and voila get the softest satin skin in a month’s time. Tired of your frizzy hair? Forget the commercial products, instead, try coconut oil, it will tame the frizzy hair. Just take a coin size of coconut oil and rub it on the ends of your hair and say goodbye to frizzy hair and flyaways. You can even make a hair spray mixing 4 parts of water and 2 parts of coconut oil and spray this mixture on your hair to tame frizzy hair and to give shine to your hair. Dry scalp and dandruff are common issues during the winters. And coconut oil will be the best way to treat dandruff woes. Coconut oil has antibacterial and antifungal properties that will fight against the bacteria and fungi and keep your scalp super clean. Massage your hair with coconut oil, camphor and lemon juice and leave it for half an hour and rinse with a mild shampoo and conditioner. Coconut oil is rich in Vitamin E, K, fatty acids that will provide the right amount of nourishment to your hair and keep it super soft and healthy. If you have dry and unmanageable hair, then it is best to massage your scalp with coconut oil every week and leave it overnight. Not only will it make your hair softer, but even prevent premature greying, split end. You can even mix a little amount of coconut oil in to your shampoo to treat dry, rough and damaged hair. If your hair are dry and damaged, you can even use coconut oil as a mask after shampooing your hair. Want to throw out all the impurities, dirt, and grime from your face? Then mix baking soda with coconut oil and notice a squeaky clean face. Coconut oil is great at sloughing the toxins from the skin and is an excellent Exfoliator that will keep your skin smooth and soft. Panda eyes are a total turn off and the inexpensive way to treat the dark circles or under eye bags is the coconut oil. Yes, coconut oil has hydrating properties that will keep crow’s feet at bay, also it is loaded with fatty acids that will strengthen the skin’s protective barrier. We already told you coconut oil has excellent hydrating properties and you can use it as a lip balm to get baby soft lips for the perfect pout. Rub some virgin, cold pressed coconut oil on your lips and leave it overnight and wake up to soft, kissable lips. Coconut oil is an excellent makeup remover. It can easily remove the toughest smoky eye makeup in a jiff. Coconut oil not only removes waterproof makeup easily but even protects your skin, without stripping the natural oils from your skin. If you are thinking of investing on an anti-aging cream then look no further than coconut oil. Coconut oil is infused with fatty acids, antioxidants, nutrients that will protect your skin from free radical damage and boost the collagen production that will keep wrinkles, fine lines, age spots at bay. Daily night, massage your face with a few drops of coconut oil and welcome youthful skin. Coconut oil works like a charm if you use it daily instead of your regular moisturizer. Dab a little coconut oil (preferably organic, filtered and virgin coconut oil) after cleansing and toning your face and get radiant, smooth skin over time. Get rid of your pimples overnight with spot treatment from coconut oil and cinnamon powder. Both the ingredients have antibacterial properties that will kill the bacteria and keep your skin clean and far from acne and pimples. Coconut oil is the perfect, instant remedy to treat burns and scars. Rub coconut oil on the affected area and see the burn healing and the scars vanishing in no time! Coconut oil works faster than 90% of the products and remedies out there in treating burns and scars so all the more reason to get that jar of coconut oil to your home. Do you have any more benefits of coconut oil? Then do write in your ideas in the comments below. Hi Sneha, Kama coconut oil is a good option that’s easily available here! Kama Ayurveda coconut oil or Maxcare coconut oil which can be found online on Amazon! Previous Previous post: Satthwa Premium Hair Oil: An Oil for All Your Hair Needs!